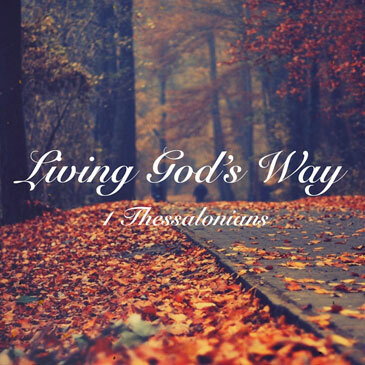 1 Thessalonians gets to the heart of what it means to live for God and so we’ve called the series ‘Living God’s Way’. Paul is very realistic about what these Christians in Thessalonica are facing and he warmly commends them for their example and faithfulness in spite of the opposition and persecution they endure. They’re called to remember the faithful, honest and servant-hearted ministry that Paul and Silas had among them. They’re reminded to please God in living pure lives, loving each other and serving God faithfully in the light of Christ’s promised return. It’s a letter that speaks powerfully to Christians of every era, and never was there a time when we needed to heed its teaching more than we do today. Let’s ‘Live God’s Way’.